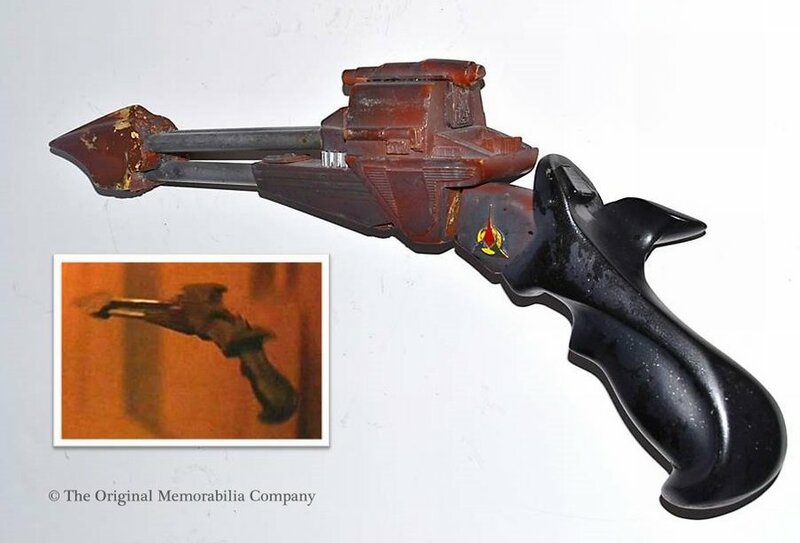 This fantastic production used VI Klingon pistol was made specifically for Star Trek VI (modified from an earlier design to better fit in a holster)and then reused throughout the various Star Trek TV incarnations as the standard Klingon sidearm. 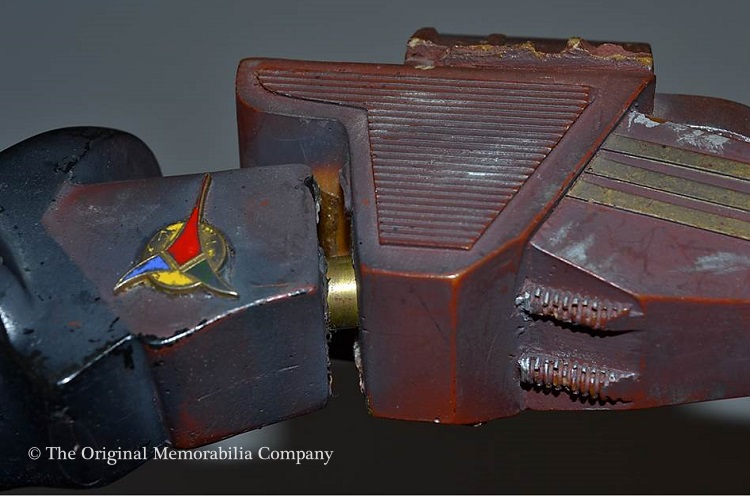 Made of cast resin components by RAC Props and painted in the Klingon rust color scheme with distressed finish. 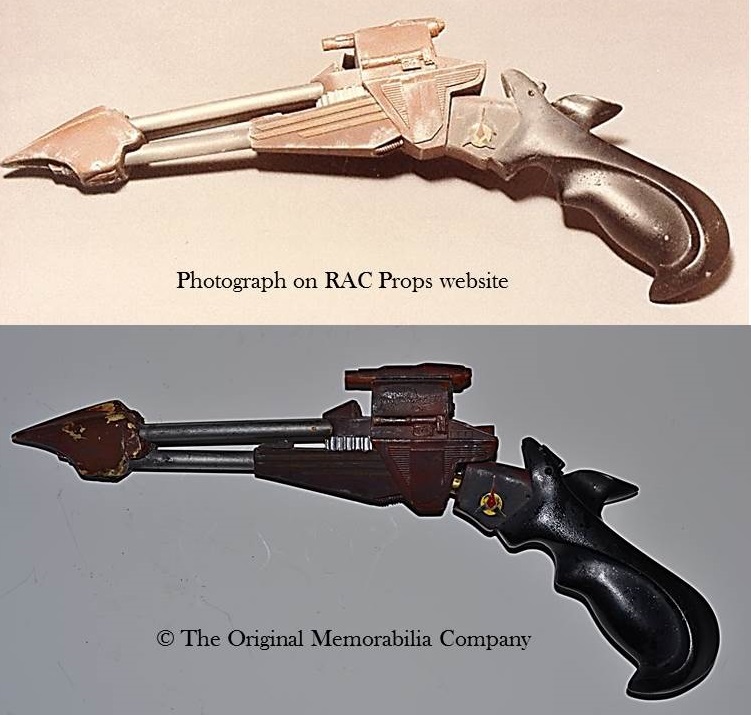 A photograph of an almost identical piece is on the RAC Props website. 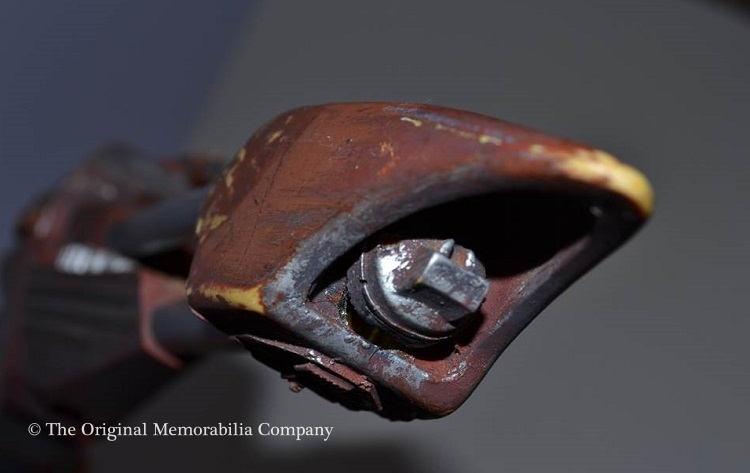 Shows wear from production use but otherwise in very good condition. 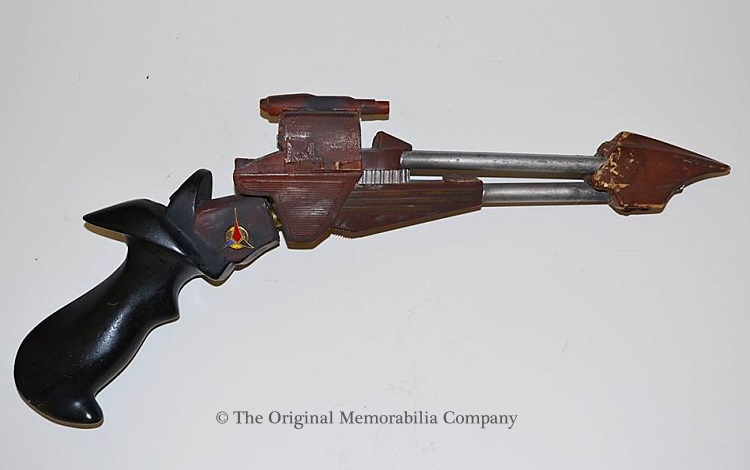 The Klingon Disruptor Pistol is a must-have for any Klingon collector. 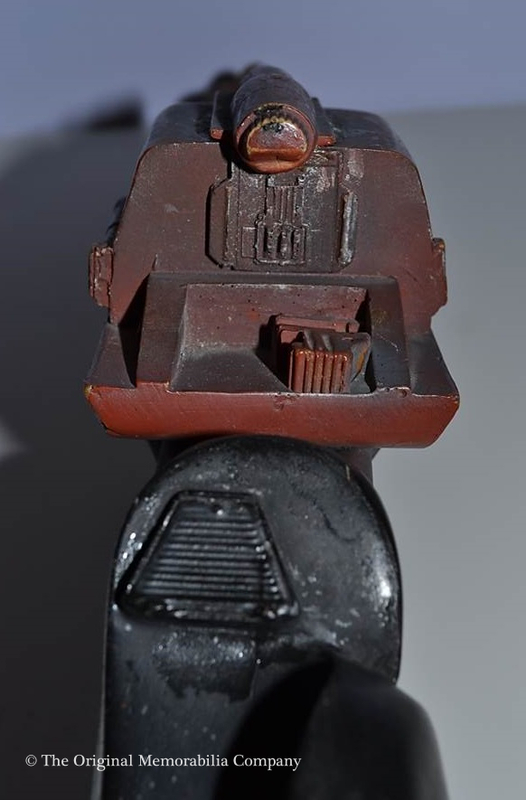 Approx dimensions 16" x 7.5" x 2.5"
1) This exact piece has been authenticated by original Star Trek prop maker Richard Coyle of RAC Props who has confirmed in writing he made this very pistol. 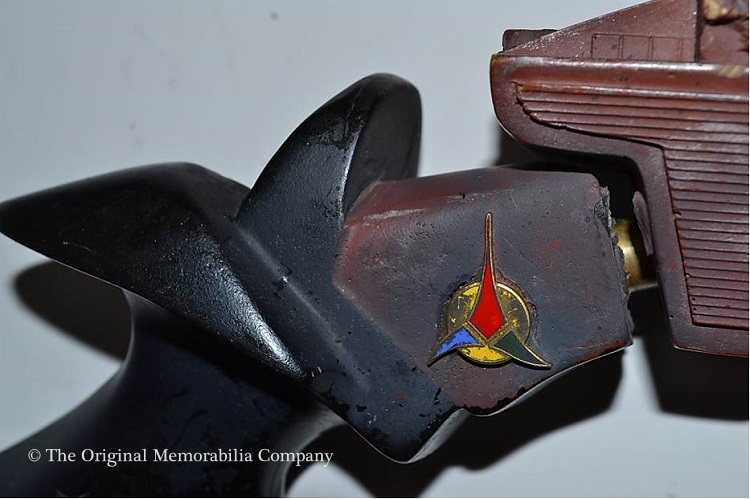 2) This Klingon Disruptor Pistol and all the items in this collection were originally obtained from a named Star Trek prop master with written provenance held on our files. 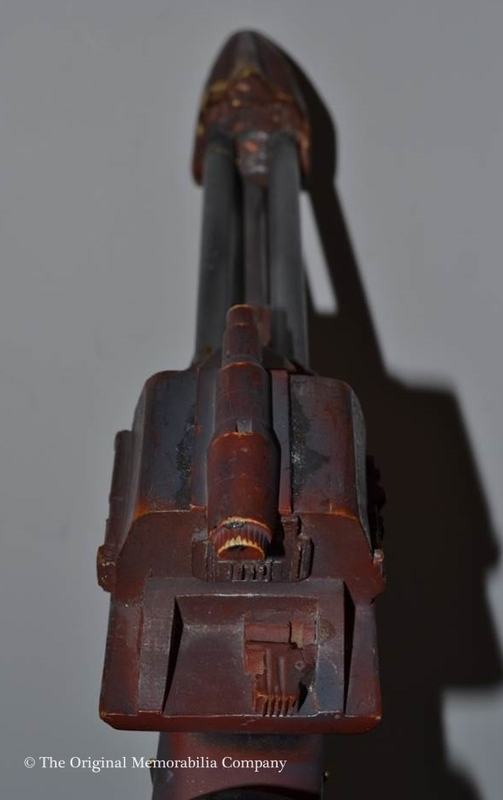 Full details will be included in your certificate of authenticity.